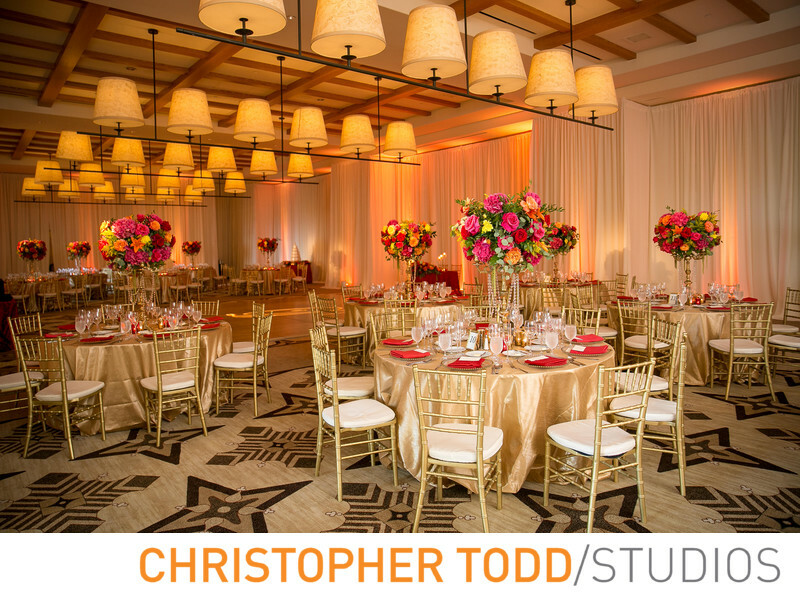 This ballroom at Terranea Resort was perfect for the couples vow renewal. They decorated the tables with gold linen and chairs. The flower centerpieces were perfect. Location: 100 Terranea Way, Rancho Palos Verdes, CA 90275 . 1/30; f/2.8; ISO 640; 24.0 mm.